Ah, the first-time home buyer budget. It takes a lot of careful planning and thought to buy a house, not to mention a lot of money in some instances. Seem daunting? It can be, but people do it all the time. The key is to have a plan in-place before you decide you want to buy a home. Even if you do not have a fortune saved, there are plenty of programs available to help you. For some, no money down is a viable option. Check with a local lender to determine exactly what your options are. Below are several ways to start on the path that is going to lead to your first home. What neighborhood would you like to live in? Do you want a quick commute to work, or would you rather live in rural area with plenty of space? What kind of house would you like? Do you want to go with a single-family home? Or maybe a condominium, with amenities such as a swimming pool is more your jam. Also consider if there is any particular construction style you’d like, such as a Victorian or mid twentieth-century modern. What kind of features would you like? Do you want a large yard for your dog or no lawn at all because you hate to cut the grass? How about a deck, a home office or a large garage for tinkering on your car? Now remember, not everyone gets their full set of likes on their first home. It is likely some compromises will need to happen. But thinking about what you want now will help you narrow down the types of houses you look at, the area they are in and the must-haves they need to contain. Remember, purchasing a home is a serious endeavor and needs your full attention to ensure you get what you are about to pay for. Often times you will need moderate savings for your first home. If you are not lucky enough to receive a down payment as a gift, you should start planning how you will build up your down payment. Traditionally, lenders have wanted to see 20 percent as a down payment. If you can swing it, that is still the golden amount to save for. Many lenders, though, will accept a 10 percent down payment. Some programs will accept a lower down payment. The United States Federal Housing Authority (FHA) will insure loans that require a 3.5 percent down payment. Look for banks or credit unions that display the FHA sign. The FHA is a federal agency that guarantees loans, but they work with banks and credit unions that do the actual lending. You must meet certain requirements to qualify for an FHA loan. The United States Department of Veterans Affairs (VA) works with veterans and their families as well. VA loans, too, require no down payment and are provided through banks and credit unions. You should also research state and local agencies to see if there are first-time home buyer programs for which you are eligible. Down payments are not the only chunk of cash you will need for your first home, though. First-time home buyers should expect to pay anywhere from two percent to five percent of the home’s cost at closing. These can include mortgage origination fees, insurance, inspections, appraisals, points and other costs associated with the closing. Some lenders want a year worth of property taxes and a year’s mortgage paid in advance for first-time home buyers as well. Check with several different lenders, however, because not all require this. Remember that you will also need cash to move. This can be expensive, especially if you are moving a long distance. You will also likely need to pay deposits for utility hook-ups. New homebuyers should save a six-month cushion for emergency home repairs as well. Even with inspections, things can go wrong with a house after you move in and you do not want to be short on funds to repair that leaky roof. If you previously established a first-time home buyer budget, you should be prepared for any issue that arises. If you want to start saving for your down payment and other costs, the first thing you will want to do is create a budget. Start by adding together everything you make in a month. Include salary, of course, and any other income. Then, total up your outgoing expenses for every month. Start with monthly bills: rent, utilities, car and renter’s insurance and any debt payments — credit cards, car loans, student loans, etc. Tabulate anything you must pay every month. Subtract the monthly bills from your salary. What is left is your disposable income. The best way to plan a budget for your disposable income is to keep track of it on a rolling basis. You need to know how much you spend on things like food, clothes, coffee, lunch and going out with friends. You also need to know what your disposable income is spent on. It is likely you spend money on food and clothes, but people vary in their tastes. Do you buy music, car stuff, books, or video games instead? Jot it all down or use a free budget tracking software like Mint or You Need a Budget. You should also consider saving for specific investments you will make based on the type of home you want. Plan on buying a fixer-upper? Save up to invest in tools you will need around the house. Want to move to the country? Save up for a multi-use compact tractor that can handle your lawn, snow and more. Eco-friendly? Set aside money to invest in insulation or adding solar panels. After you have kept track of all your spending for at least a month, put your incoming and outgoing figures into a table or spreadsheet. Whatever works best for you, just ensure you keep up with it. Now comes the exciting part! You are going to sit down and figure out what you can save toward your first home from here. Do you have leftover disposable money every month? If so, start saving it! You might even want to set up an automatic withdrawal from your paycheck. Was the reverse true instead, and you need to cut back your current spending to have a monthly savings? Look at your spreadsheet or table and think about where you can reduce your spending. Maybe you can take public transportation or bike to work. If you find yourself spending a lot on those morning lattes, try making your own instead. You might also consider taking your lunch to work rather than eating out every day. Savings do not have to arise just from your current income, of course. Do you expect to receive a promotion? If so, earmark some of the raise for home savings. Are you going to receive a tax return? Ditto. Can your parents or great-aunt Hilda swing you some savings for a home? Can you work a side hustle to save? Now that you have a workable budget and a nicely growing nest egg, it is time to check your credit score. Credit scores must be excellent to good to be approved for the lowest rate home loans. You need to know what your score is before you want to buy a house, so you have time to raise it if it is too low or correct it if there are errors. Your credit score is a figure derived from data on payment and credit information that lenders compile about you. It includes information on whether you pay your bills on time. It takes into account how much credit you have available, and how much credit you are using vis-à-vis the total available. It is not good to be maxed out on your credit cards. It will lower your score. But neither is it good to have no credit. If you have never had any type of credit, for example, it is a good idea to get some credit history before applying for a mortgage. A credit card or car loan is a good idea if this is the case. Be sure to pay the bills promptly. You can contact www.annualcreditreport.com to receive your credit score. Everyone is allowed one free report per year from this site. Many banks will allow their customers to get a credit score from them as well. Your credit score report will indicate what your credit score is. It will also indicate whether the score is excellent, good, fair or below average in each category. If it is below good in any category, you will need to raise it to receive a mortgage. If you have not always paid your bills on time, for example, be sure to start doing it. If you have too many expenses on your credit cards, pay them down. Sometimes, the information reported might be incorrect. If it is, contact the lender and get it corrected. This can take time, so start as soon as possible. Keep monitoring your credit every year. While it is not technically part of building up your budget, you would be wise to research the housing market. You need to know what starter homes in your ideal neighborhoods cost to know how much of a nest egg you will need. To get an idea, look at real estate agent sites to see what homes are being listed for in your area. Nearly all will have many pictures of available homes for sale, both the exterior and the interior. Go to open houses, and check circulars in the neighborhoods you want, too. It is not uncommon to have to revise what you want. If the neighborhoods you have been thinking of are too expensive, for example, you may need to choose another one. Or, you may need to compromise on the amount of space you want. For instance, condos are usually less expensive because they generally contain less square footage than a house. Once you have a sense of the kinds of houses available, you will know what average mortgage prices are. Use a mortgage calculator to find out what you can afford given your current salary. You will also need to factor in your debt-to-income (DTI) ratio when thinking about a mortgage. This is, as its name implies, the total minimum monthly debt service you owe as a percentage of your income. Lenders vary, but a lower DTI is often better — higher means you might have trouble paying all your bills. And there you have it! 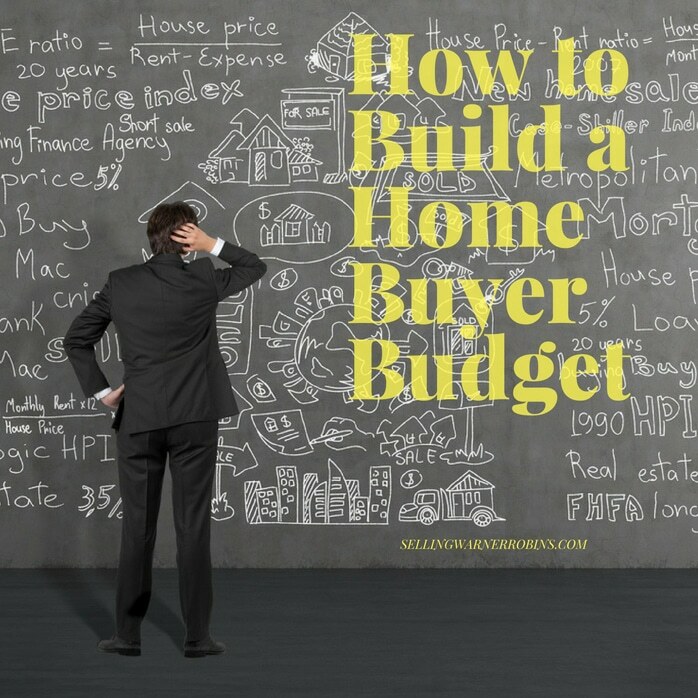 Once you know the steps you can begin building up your first-time homebuyer budget. 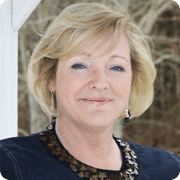 If you have not already done so, it is time to start a dialogue with a top local real estate agent so you can secure representation and know that someone has your best interests at heart as you begin looking for your first home. Happy house hunting! 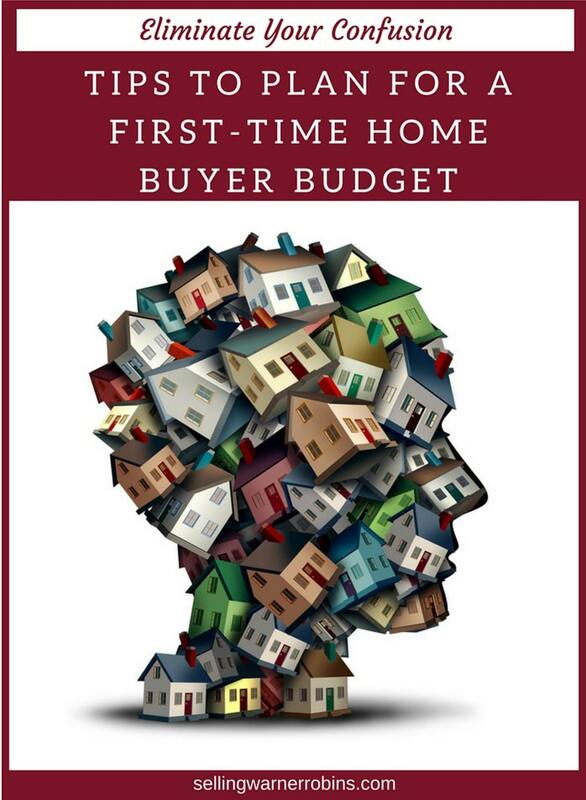 Here are several more home buyer resources to give you a well rounded perspective of what it takes to buy your first home. 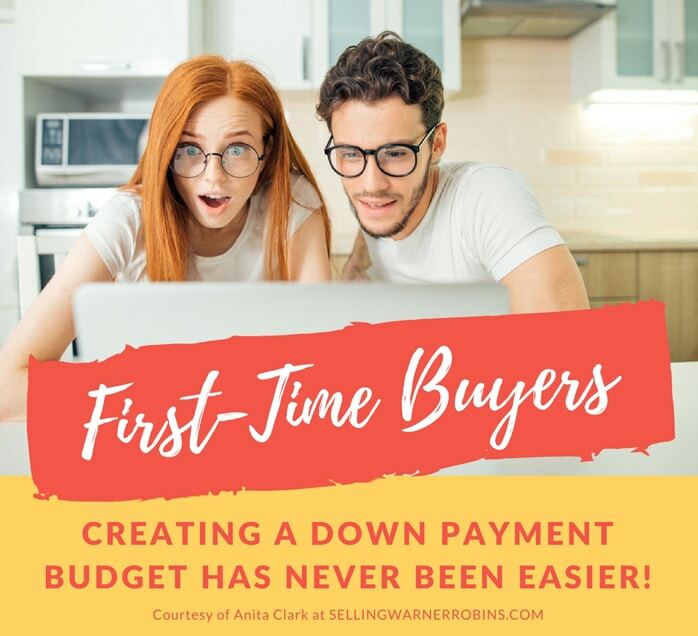 While it may appear daunting at first, they process is made much smoother when you work with an agent who has first-time home buyer experience. Nice informative blog. I have a questions. When does a first-home buyer need a sponsor? What is required from a first-home buyer in order not to be in need for a sponsor? And from your experience as a realtor, on a scale from 1- 10 how many first-home buyers had to have a sponsor to help them buy their homes?